there are two sides to Dawson Reeve. 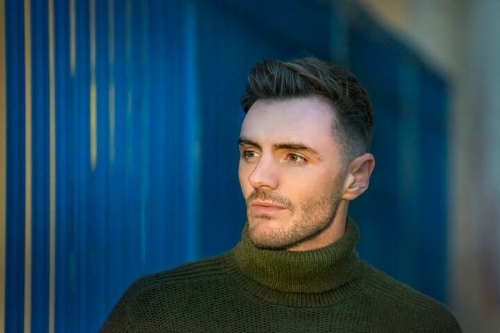 I have been talking with the London-based artist about busking and whether there will be touring later this year; what inspired his new song, Hurricanes; if there is more material arriving shortly – Reeve discusses his musical idols and favourite new artists. I ask whether there is a treasured musical memory that sticks in his mind; a few albums that are especially important to him; whether there is an opportunity to kick back outside of music; what advice he would give to artists coming through – he ends the interview with a stunning James Blake cut. Hi, Dawson. How are you? How has your week been? Great, thanks! I spent last week visiting family, eating cream teas and surfing in Cornwall - and the weekend busking around London’s Bankside in glorious sunshine. 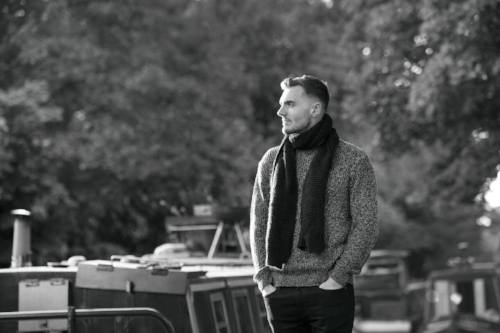 I’m Dawson Reeve; a Derbyshire lad who now calls London home. Hurricanes seems to document a sense of fear and holding back. How much of the song is about having to deal with hard conversations and emotions? I wrote Hurricanes after a tough conversation with my girlfriend at the time. Literally, she walked out the door and the song just poured out. Songwriting is very cathartic for me: it’s a snapshot of how I was feeling at that moment in time. Hurricanes is about the power of words; how just one sentence can destroy a relationship of years. I notice an evolution with every cut. Do you think you are growing stronger with each release? I hope so! I’ve been sitting on these tracks for a while so it’s great to finally get them into the world. Might we see more material this year? Hurricanes is the second track off of my Circumstance E.P., which is being released on 11th July. How did you get into music? Did you grow up around a lot of different sounds? We were given an old out of tune piano for free when I was six, so I started taking lessons. I went through school doing my Classical piano grades, then took up guitar and drums at fourteen. I played in Pop-Punk bands though secondary-school. I also played in a Jazz orchestra growing up so had a really eclectic grounding in music. I’ve always been on a musical path but didn’t find my voice and songwriting until I was studying a Leeds College of Music around nineteen, where I moved away from Classical and more to contemporary compositions. 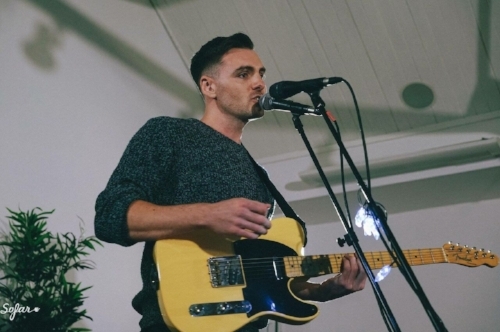 How did you transition from busking to making your own stuff? 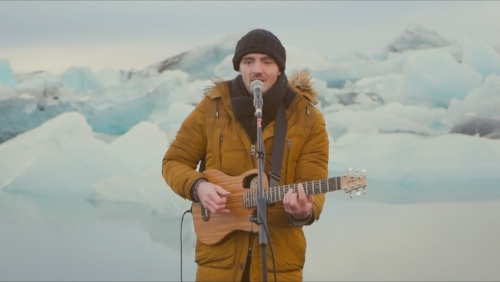 Did you learn a lot of talents and skills from busking? Initially, when I started busking in Leeds seven years ago, I didn’t have any of my own songs. I was a timid teenager and I’ll be the first to admit my voice wasn’t up to much. Seven years on and hundreds of hours performing and perfecting later, I’m still busking today and I know I’ve grown in so many ways; partly from the skills I’ve acquired playing in the streets. You have to own the space, you have to give a performance that is going to make someone stop in their tracks and want to listen. I love seeing people connect with my music and busking gives me the opportunity to connect with hundreds, if not thousands, of people in one day. Also, I’m on their level; not on a stage miles away, so I can talk to people and tell them about my music. After a year of pretty much non-stop touring, I’m having a little break to write new material. You can catch me playing at The Ned on 18th June and an intimate show at Escargot on 3rd July - both in London. After that, I’ll be booking Sofar Sounds gigs around the U.K. to try out new material and, of course, you can see me playing on the streets around Bankside. You have toured all over the world! Is it the different faces and new places that draw you to the road? I’ve always had an innate desire to travel and explore and I’m lucky that I can combine this with my music. I love discovering new cultures and sounds. I was in Colombia in February and music and dance is everywhere. The atmosphere in a smoky, sweaty salsa club in Cartagena with a live band was something I will never forget. I would love to get some visuals to accompany my music - any videographer out there hit me up! Performing at the House of Blues Anaheim, in L.A, in front of 2000 people for the Loop Station World Championships (in 2013) was a definite highlight for me, as was touring the West Coast of the States afterwards. Origin of Symmetry by Muse was the first album I really got into. Matt Bellamy’s vocal and Classical/ Rock crossover style blew my mind. One by One by the Foo Fighters was also one of the first albums I listened to and transports me back to being an angsty teenager. Plus, everyone knows Dave Grohl is the Nicest Guy in Rock. I don’t really listen to many albums all the way through anymore, in the age of Spotify playlists, but one album I could never get tired off is James Blake’s self-titled debut. It was like nothing I’d ever heard before and he is still one of my favourite artists. James Blake has definitely been an influence on the E.P., especially on a track called Hitting Home. Work hard, be persistent; experience as much as you can. 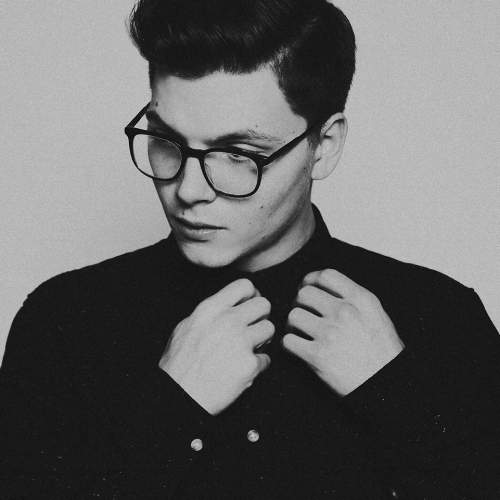 I’m a big fan of Kevin Garrett - check out Coloring (or ‘Colouring’). Also; Rhys Lewis - Reason to Hate You is a tune! I love to be active; mainly running and swimming. Running gives me a chance to think and, when I swim, it’s almost like meditation. I don’t think about anything apart from what lap I’m on. I’m always going on spontaneous trips, too. Nothing like a new city and new experience to spark an idea for a song…. It’s got to be The Wilhelm Scream, possibly my favourite track from the James Blake album. Thanks for having me!